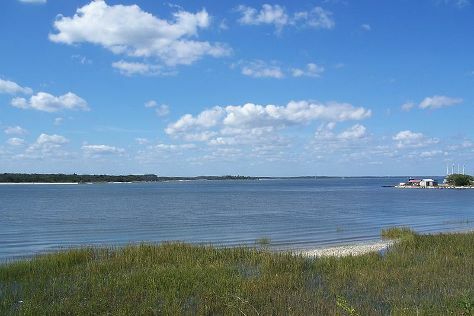 The southernmost Sea Island off the coast of Florida, Amelia Island takes its name from Princess Amelia of England. Once a colony of major European and American powers, with no less than eight flags claiming its land, the island now celebrates this heritage. These flags are honored annually at the “Isle of Eight Flags Shrimp Festival,” which draws nearly 200,000 people every spring. Jazz, chamber music, film festivals, and sporting events take place throughout the year. Many people visit the island to golf--it boasts seven courses and three golf resorts that attract international guests. Amelia Island is in Florida (FL). Plan your trip to Amelia Island and other United States destinations using our handy United States road trip planning app .